Good day prized readers. It is time. Time for you to sever ties with that yoga mat supplier you once made a purchase from five years ago. Time for you open your mailbox to find only highly relevant information of direct interest to you. Of course, if you want only highly relevant information of direct interest to you, then you could ignore your inbox and come here. Possibly the best paint job we’ve seen this year, this is the new Solaris Max from Cotic. 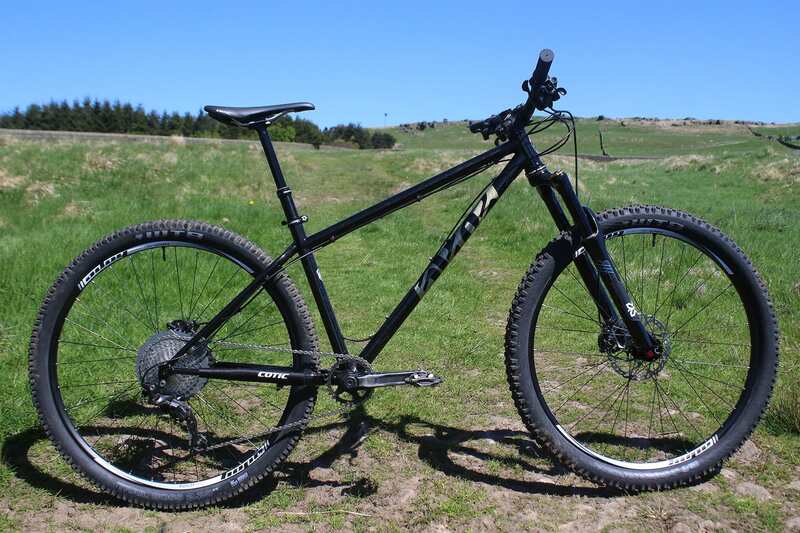 There’s been rather a lot of excitement about this bike, and a veritable bun fight of people wanting to test ride it. Hop on over here for all the details if you missed the launch story. …that’s ‘Cosmic Black’ – AKA, black with gold flecks. In case you’re interested in more than just that black sparkle paint job: it’ll take 29in wheels, but will also fit 27.5in plus tyres up to 3in. It comes with a 120mm fork, but is compatible with forks up to 140mm. 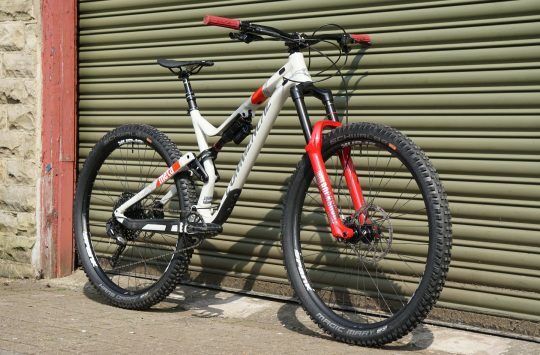 And while it’s a versatile hardtail that has room for two water bottles in the (medium) main triangle, it has a nice and short seat tube that’ll also take a 170mm dropper post if you want to get rowdy. Yay! Biscuits for breakfast, dinner and tea! Each pouch contains two meal bars that provide 650 calories and six core nutrients of calories, carbs, protein, sodium, fats and fibre. 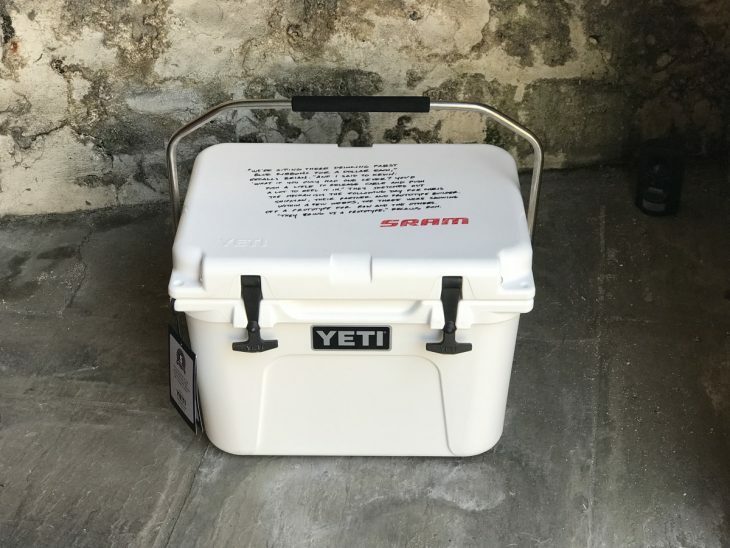 They’re designed to give you what you need to keep going when you’re on the go, without the faff of sitting down and lighting a stove for water etc. 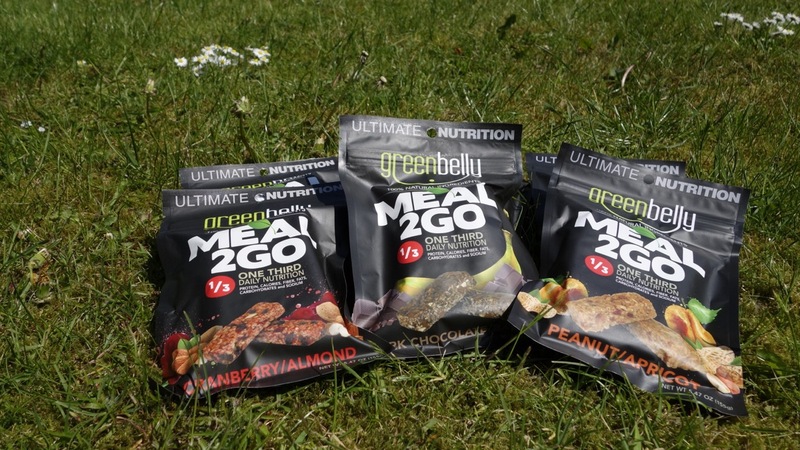 Each pouch contains one of three flavour options: strawberry and almond, peanut and apricot, or dark chocolate and banana. These have come all the way from America for Stu, who is going to be using these on his Highland Trail 550 attempt. Stealthy grey fabric for quiet adventuring. Made from their new ‘Tarmac ultralight’ fabric, these are lightweight pieces of luggage for bike packing – and will be used by Stu Taylor on his Highland Trail 550 attempt. They’re waterproof to a point, but as they’re a stitched construction they’re not going to stand up to intense wet conditions – but then luggage that did wouldn’t be so light weight. If you’re looking for speed and can risk a bit of dampness (or just use a dry bag) then these might be for you. 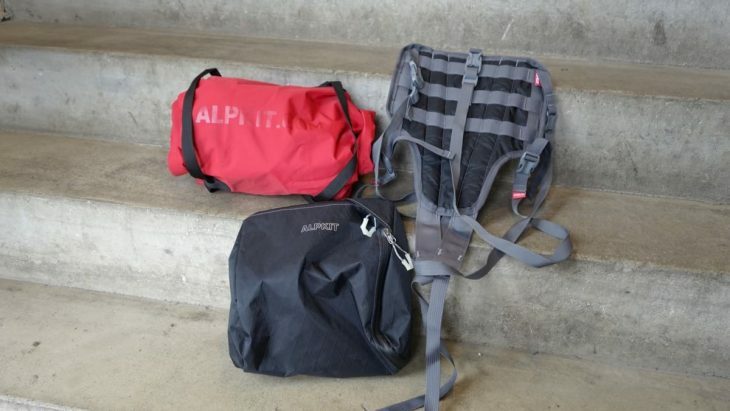 Yes, we’ve seen the return of bum bags, but this is not a new cod-piece pack. Stu has opted for this luggage set up on the front of his bike as he found it fitted well and was secure. 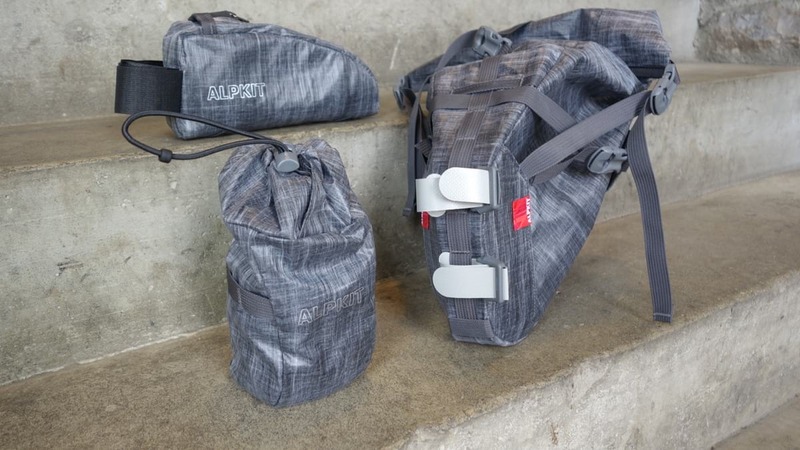 The Kanga harness gives extra stability and protection to the Airlok Dual, which is a double ended dry bag which could otherwise be used on its own. The Fat Roo is a kind of extension unit – carry more stuff, or use it to carry bits you want to take with you when you leave your bike. This is a belated birthday present for Chipps from Trev. We’re kind of hoping he might share them for #DrinkBeerAtYourDeskFriday. Suspiciously, he’s avoiding making eye contact with us at the moment. Price: from €69 depending on width. 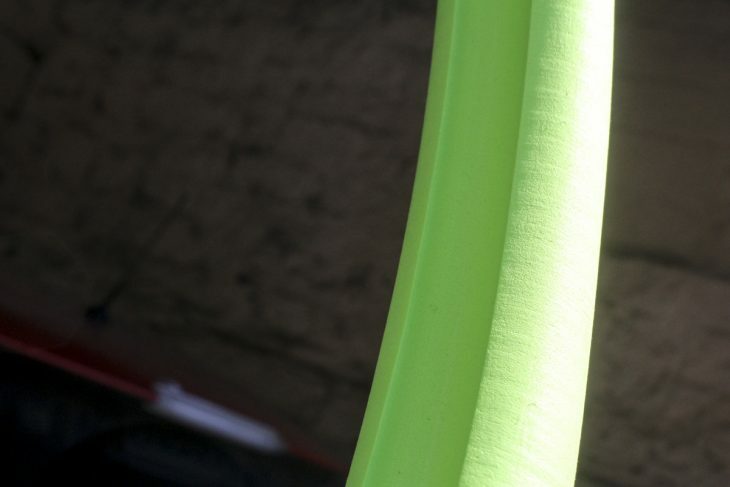 No, that’s not some arty abstract, it’s a close up of the new Air-Liner tyre insert from Vittoria. 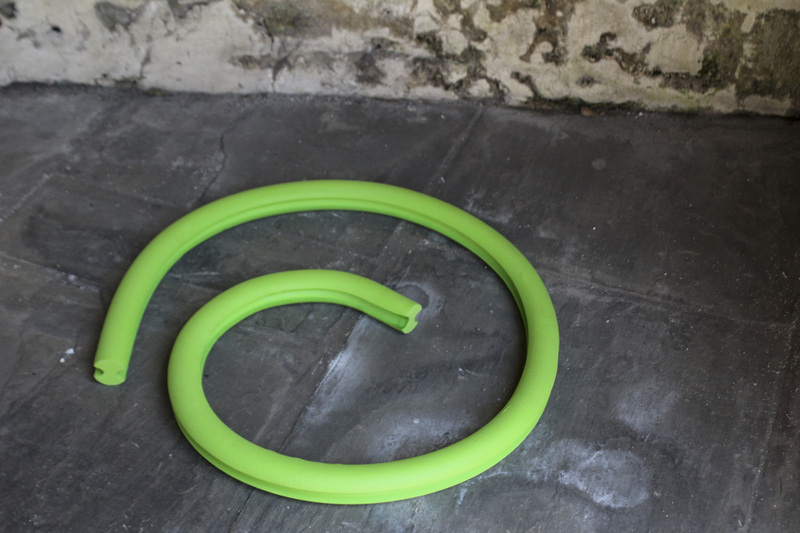 This big green snake thing goes inside your tyre, helping protect your rims even at lower pressures, and also preventing punctures and offering greater grip – that’s a lot of claims right there. Rather than coming in wheel-sizes, these can be cut to length and come in a range of widths suitable for tyres from 1.9inches up to 4inches wide. 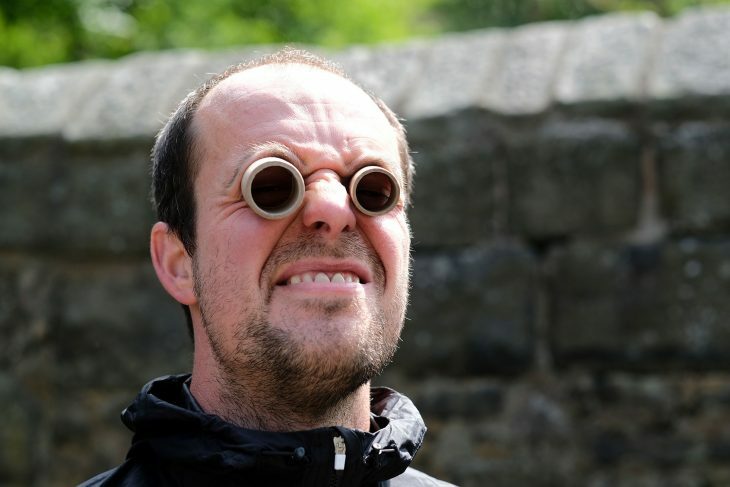 It’s recommended that you don’t use a sealant that contains ammonia while using these inserts… we’re tempted to see if doing so gives us a big fizzy snake? ‘Gold Extreme Holy Cow’ – the new album by Chipps, coming soon. 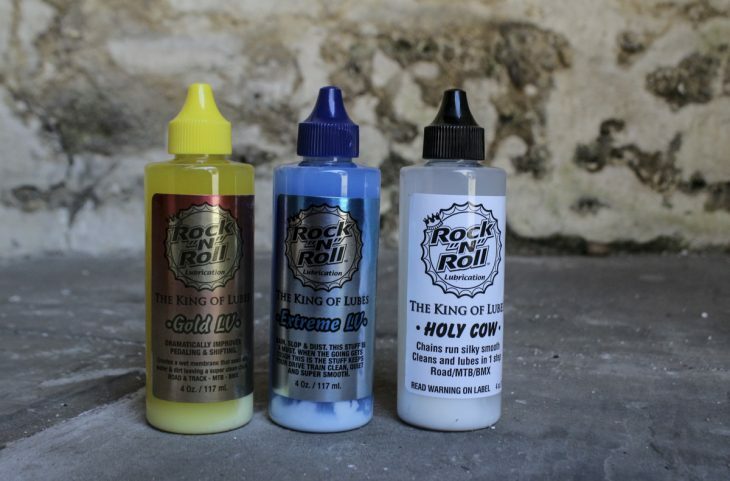 Holy Cow is a wet lube that is easy to wipe off if the chain collects dust and dirt, Extreme LV is for foul weather use, and Gold LV is for dry conditions only – dust won’t stick to it, so your chain will stay clean. If you’re running tubeless tyres and haven’t already got tubeless repair noodles – or indeed salamis – like this, why not? Here we have a large refill pack, for when you had a run of bad luck perhaps, or a rather neat ‘Repair Tube’ which contains a simple forked stabber-y applicator and eight sticky noodles in two different sizes. 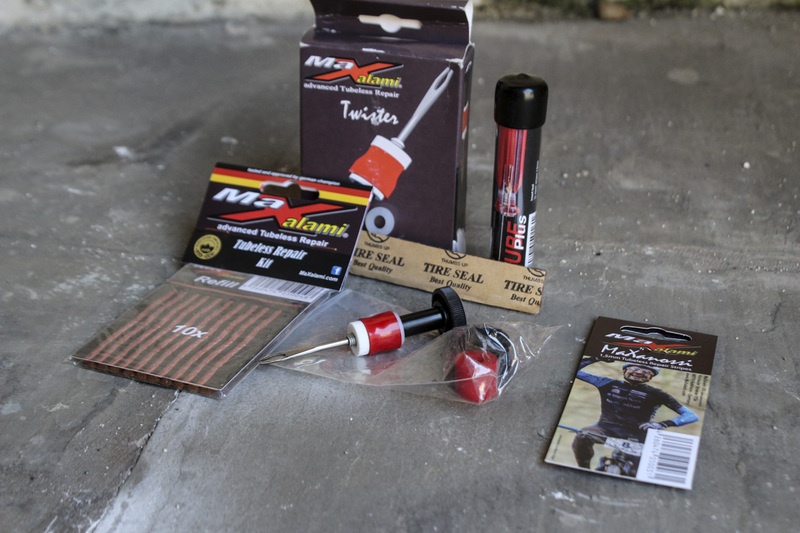 The Repair Tube is a nice neat piece of kit to tuck into your pack, but possibly even neater still is the ‘Twister’. 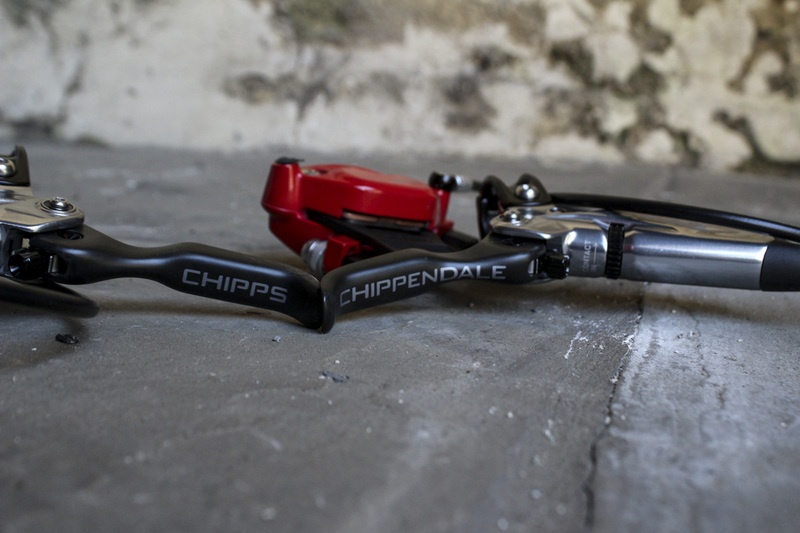 Especially handy if you’re not swapping between lots of bikes, this fits into the open end of your crank, or into your bar end – flat or drop bar. So your bike can have been breath than you? Part of the new ‘MINT’ range of cleaning products – we’re assuming they all smell of mint, but maybe they just make things look ‘mint’ as the bright young things might say. 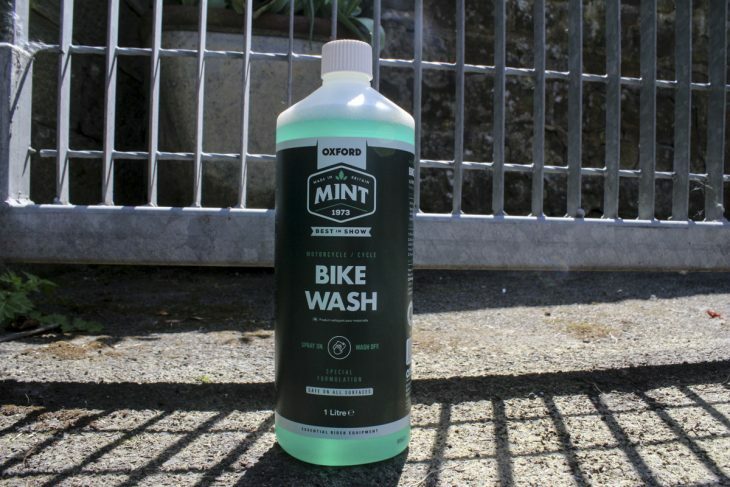 Definitely not to be confused with mouthwash, it’s for your bike. Or indeed your motorbike, as some of the promotional material suggests. So your feet can match your suspension. If you’re of a certain age (like Chipps, for example) you’ll possibly remember a bomber jacket that matched these shoes. 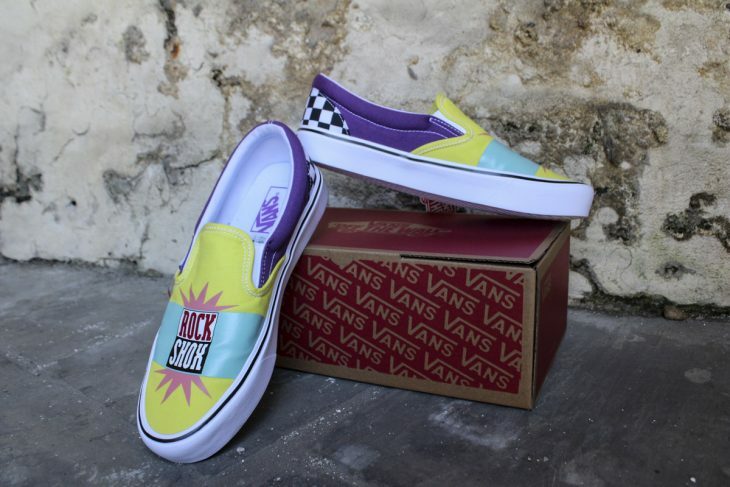 Luckily for us (especially as we know Wil loves a bit of matchy-matchy) it’s only these special edition shoes which have been made. Wil and Chipps both have a pair – will they be sharing out the week days so that they’re not both wearing them at the same time? Does not (yet) contain beer. 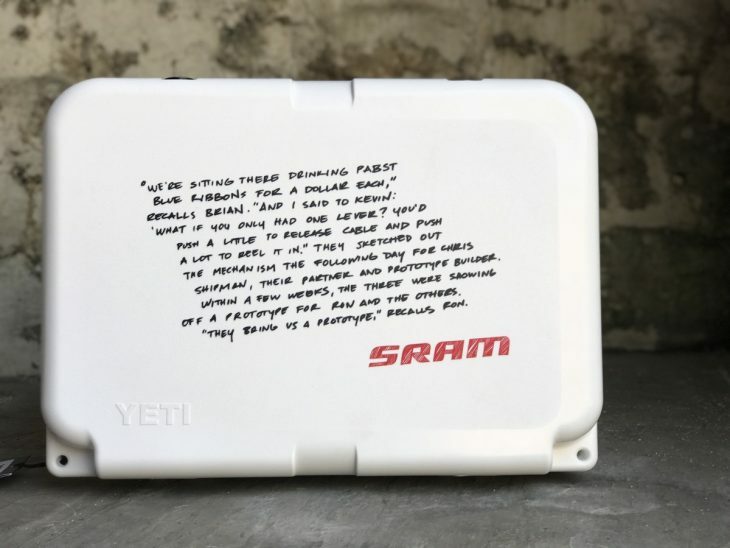 As if a pair of shoes wasn’t a treat enough, Wil has also been given this cool box, complete with a backstage story behind some of the product development from SRAM. Not all beer inventions are good, but some are. Flight of the Conchords does Daft Punk? This is a windproof and water repellant jacket with reinforced elbows and stretch panel in lower sleeves designed for a better fit with elbow pads. The RECCO on the big red label refers to a little reflector tucked in the hood that can be used by rescuers carrying a RECCO detector to locate you from up to 200m away. It’s primarily used in ski-wear, but if it helps you to be found in poor weather or darkness it sounds like an interesting addition to the jacket. Look into my peekaboo thighs. 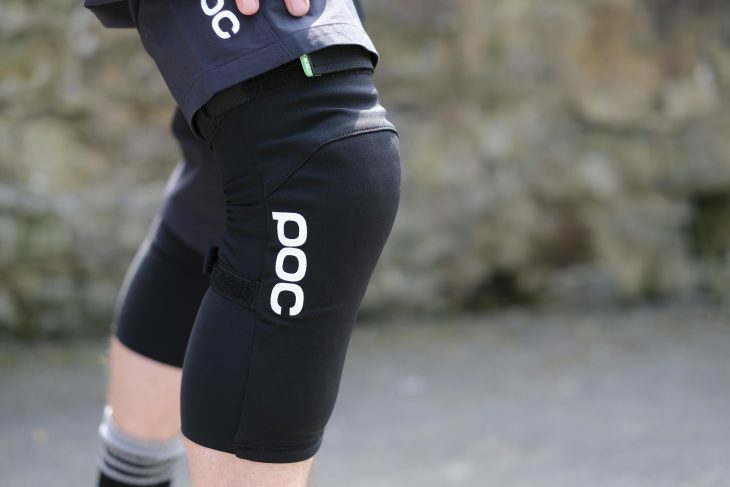 These shorts are pre shaped to fit with knee pads, and the seams are placed for comfort while pedalling. Long side zips give ventilation, and a slightly disturbing view of James’s thigh. Ta-dah! I made this door magically appear! These shorts are very similar to the Mid shorts above, but don’t have the ventilation zip. They are however made form lightweight fabric, so are still suited to warm weather. Whoop! 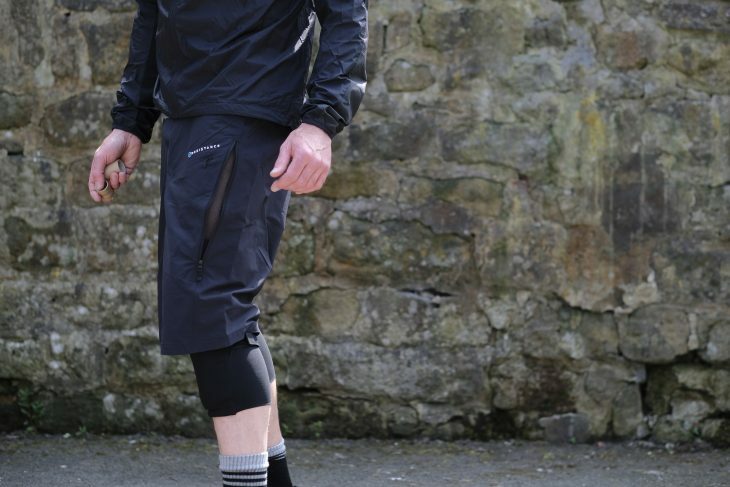 Lurking under these shorts are super slimmed down pads which provide just a touch of protection with plenty of pedal comfort and lots of ventilation. They’re a simple sleeve design with silicon strip at the top and bottom to keep them in place – no other straps for adjustment. 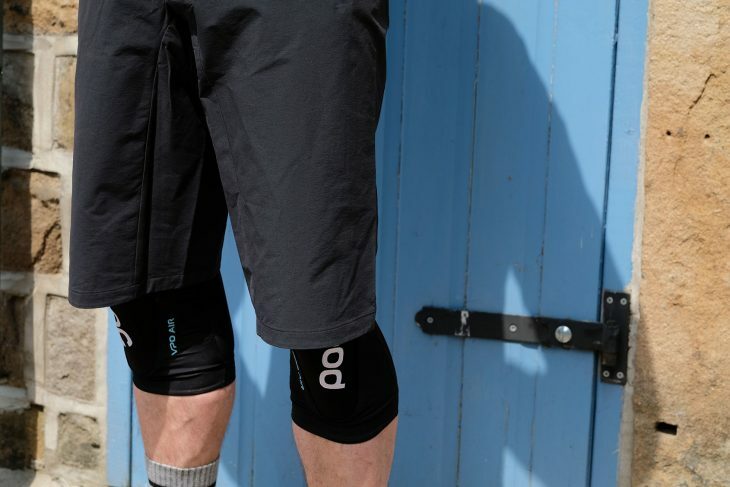 These are soft to pedal in but hard on impact knee pads – there’s also a DH version with a hard shell outer if you prefer – in a long fit sleeve with elastic upper strap for a snug fit. They do come up quite small, so if you’re ordering them you might want to size up – there’s a simple size guide for all POC products on their website so you don’t have to find yourself squeezing into something that’s on the race fit side of sizing. Also available in two different black and white colour options. 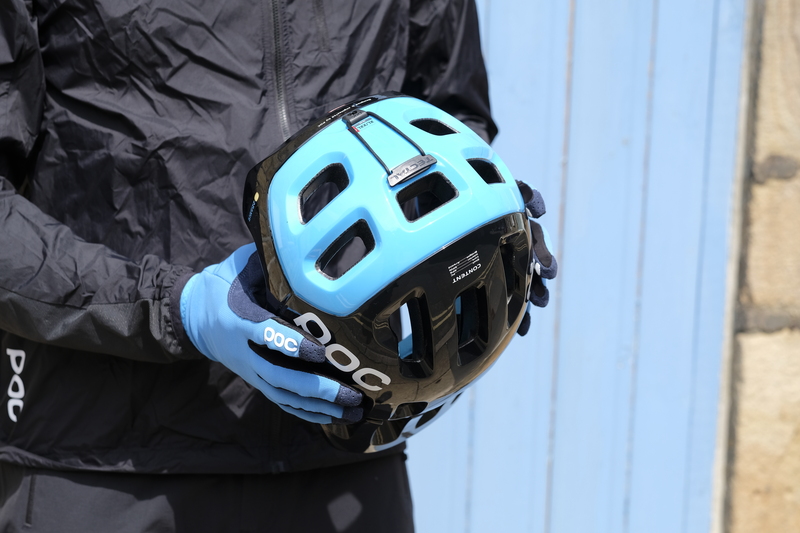 Designed for aggressive trail riding and enduro racing (but don’t tell James that, we like him in one piece), this helmet offers plenty of coverage, lots of ventilation, and the SPIN (Sharing Pad INside) rotational impact protection system. So much bright blue, it’s like we’re in the Med. These are simple pull on gloves – another version with wrist closures is also available – with touch screen compatible thumbs and silicon finger prints to give you extra grip on your brakes. There’s also a nosewipe on the thumb – handy for hayfever season – but don’t mix it up with the touchscreen bit, especially if it’s a work phone. 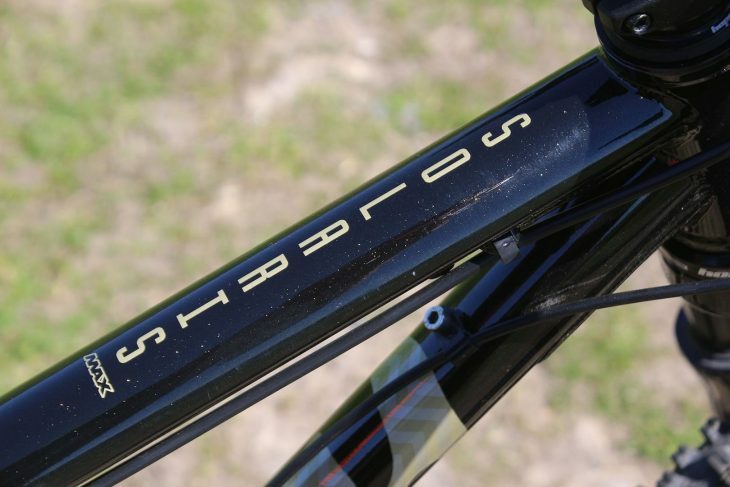 Chamois included but not modelled. 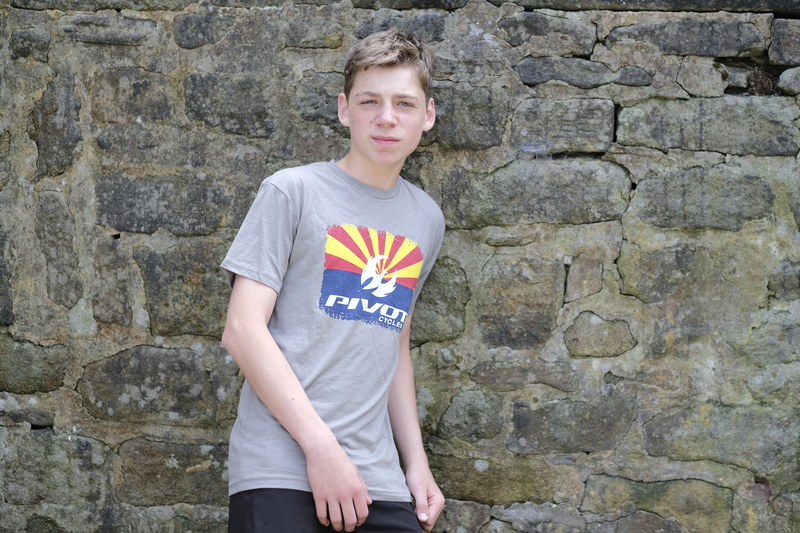 When Wil was away at the Pivot launch last week he was given some new threads to wear, including these Pivot socks, and a bunch of Fly Racing kit. But hang on, those aren’t Wil’s legs. And that’s not Wil’s body. It’s Aran! 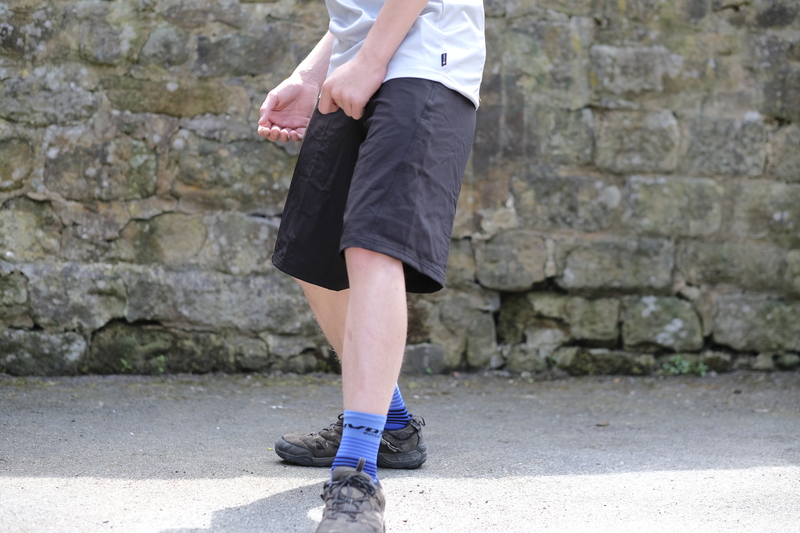 Modelling the Teal version of the Maverick shorts, we have Aran, who has been here on work experience with us this week. He’s helped finish off our office move around by figuring out how to dismantle and rebuild various fiendish items of Ikea furniture. He’s also helped James get everything ready for our trip to Fort William next week (which is a bit mean of us really, since he doesn’t actually get to go to Fort William). 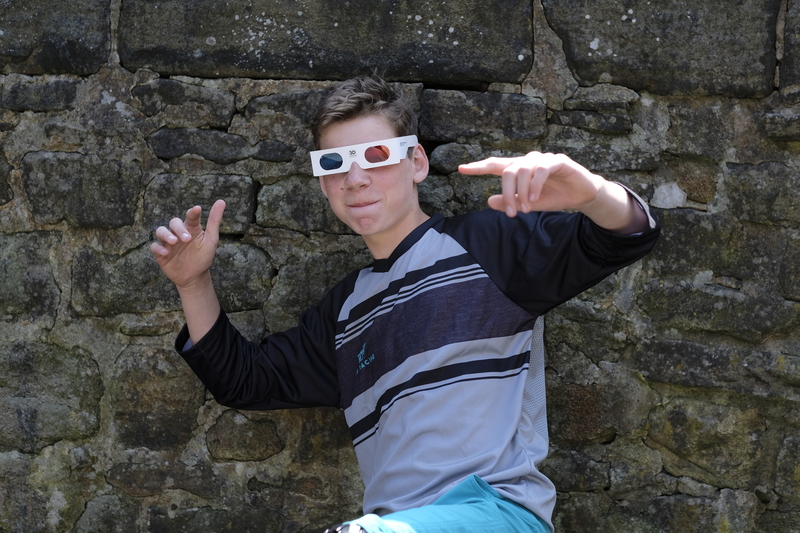 Aran may only be here on work experience, but he’s already looking like a veteran of the FGF pose. 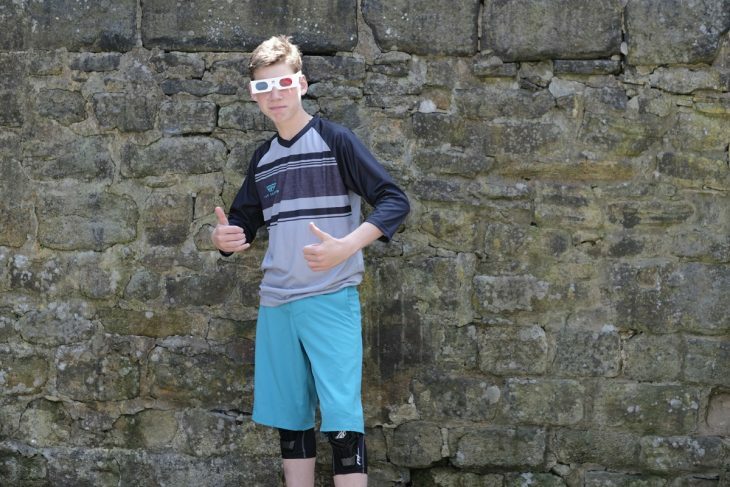 Here he is looking 100% catalogue in Wil’s jersye, which comes with reflective logos and Polygiene technology. Which is just as well as we fear Wil might have worn it already. Sorry Aran. More threads from the USA thanks to Pivot Cycles. 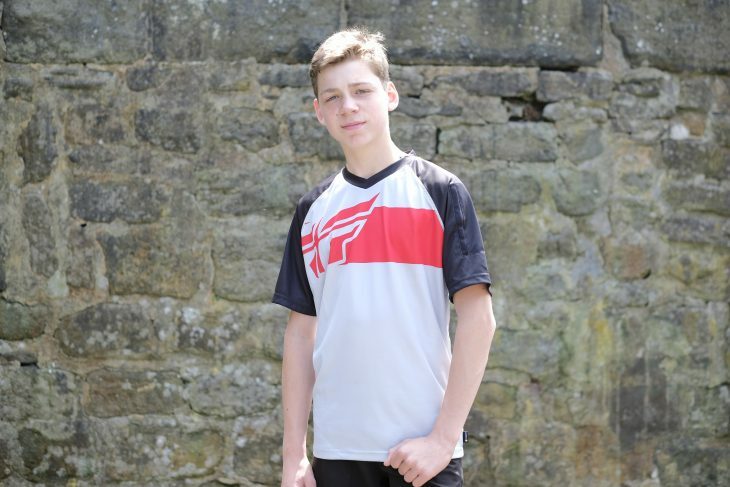 Getting right into the spirit of FGF, Aran is down with da kidz in this three-quarter sleeve jersey with mesh back panel and Polygiene odour control technology. Is it working Aran, can you smell the previous wearer? These look to fit Aran just right. 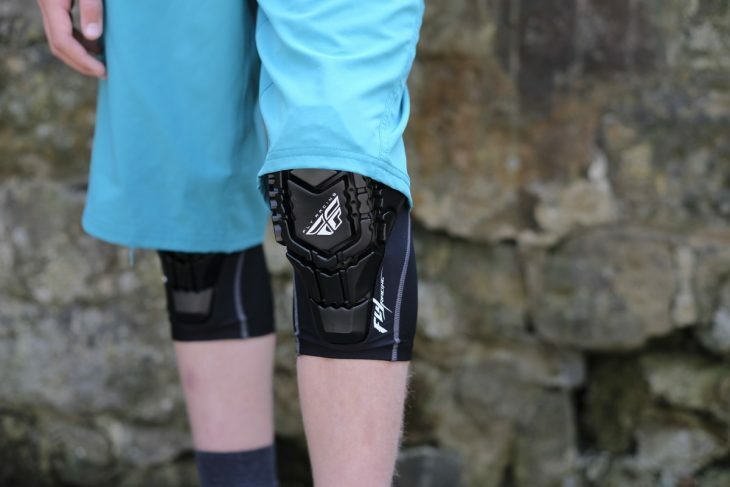 Knee pads made with Fly Racing’s HDM (High Density Memory) protector, containing ‘a special blend viscoelastic foam with memory function allowing for repeat impacts’. Science, innit. There are ventilation holes to stop you getting too sweaty, and they’re held up by silicon grips at either end of the knee sleeves. You can’t have this one, but many other patterns are available. 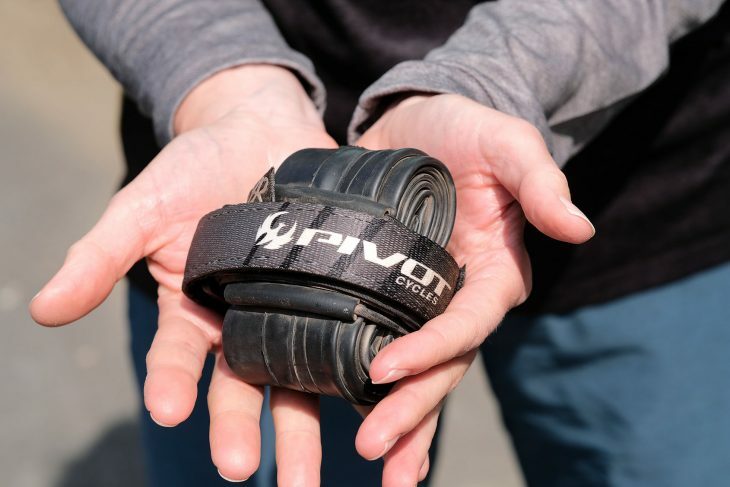 Carry your tube over the roughest of terrain, without needing a bag to hold it in. Ready to sprint for the exits. That’s it! Aran is planning his escape! That’s quite enough work for one week. He’s learnt that he should definitely go and work hard at school so that he doesn’t end up like any of us. 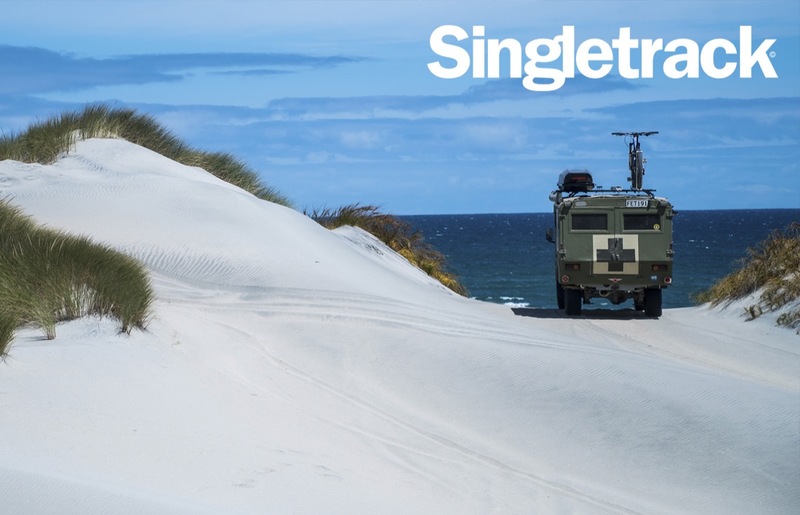 Of course, if you’ve already failed to work hard at school and are still job hunting, we do have one going here at Singletrack. You don’t have to have any special formal qualifications, you don’t need to have dungarees, or a beard, or a plaid shirt. You do need to like bikes though. 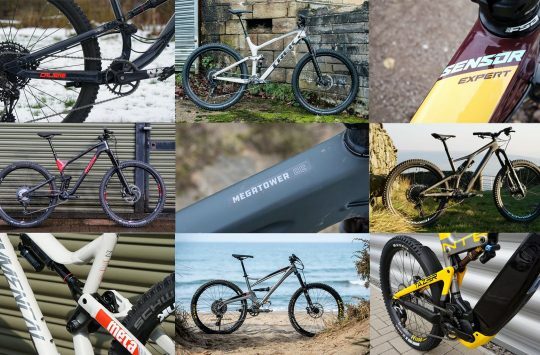 You could read this story about working in the bike industry, if you’re half tempted. And you could read this story if you’re definitely interested in riding bikes for a living. Off we head then, to a well deserved bank holiday weekend. Try not to spend it in A&E (you might as well stay clear of any DIY or gardening, just to be on the safe side). P.S. Make sure you’ve subscribed to Singletrack in order to get Issue 119 delivered to your door! 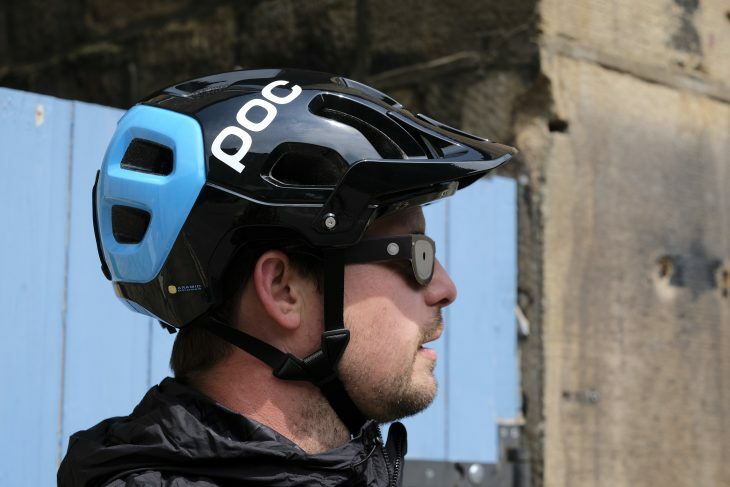 I won a pair of POC kneepads in Tuesday Treats a few years ago. They sent me 2 left handed, (kneed) ones, but as it took me 6 months to notice, and they were free anyway I didn’t have the heart to complain. Anyway, conference call awaits, back to work. 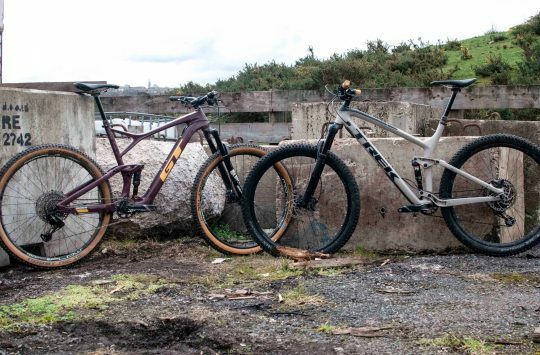 Those RockShox Vans really are something else, aren’t they. 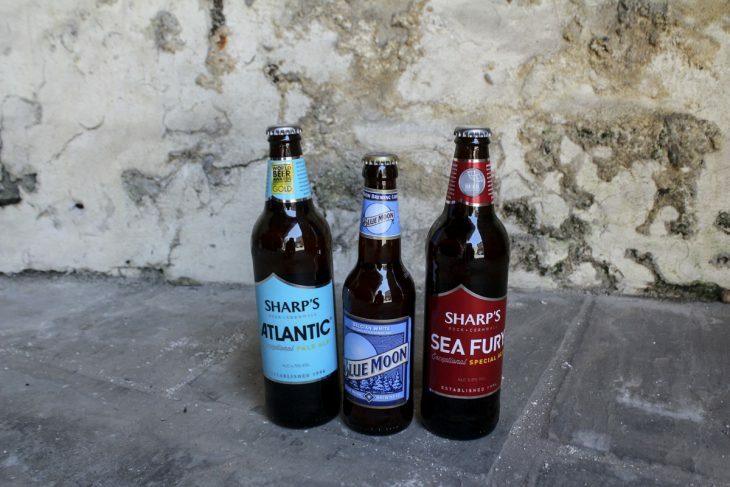 Honestly, after seeing the bottle of Sharp’s Atlantic my mind just wondered. I was expecting the song to be ‘Come on Eileen’. @mrback Nicholas Parsons misses a show, we miss a FGF…the apocalypse is surely coming.